So, you’re not a year-round RV-er, or, at least not yet. (One can dream!) Which means another RV season is coming to a close. Check your manuals. 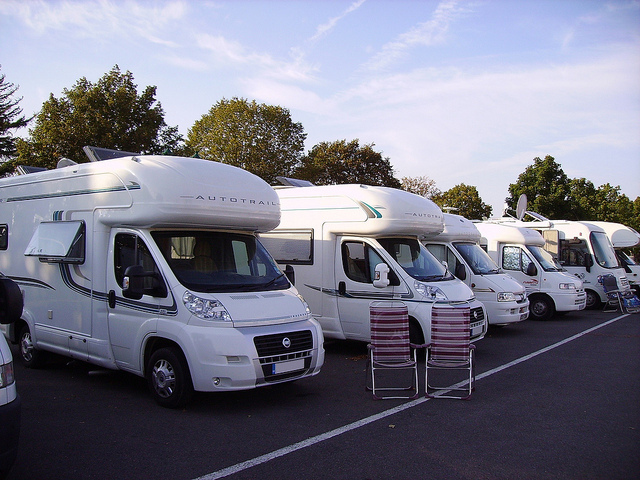 A good place to start before performing any RV maintenance is your owners’ manual, including those for the RV itself and the appliances within it. Get the water out and the antifreeze in. Storing your RV with empty water lines will help prevent damage to your water system due to freezing temperatures. The Family Motor Coach Association (FMCA) recommends both draining and blowing out your lines and tanks. Afterward, add nontoxic antifreeze (NOT automotive antifreeze) throughout the system, following the directions and specifications in your manual. Disconnect your battery. If you won’t be driving your RV for at least 30 days, disconnect the negative battery cable. But, make sure to test it every few months, because batteries can lose their charge even when they’re disconnected. Clean and dry the interior thoroughly. Remove all food from the cabinets and refrigerator, and leave them open after cleaning. Be sure there’s nothing left that might attract critters and insects. Close your curtains or blinds to keep the sun out, and remove all of your clothing and bedding. Don’t ever store a propane tank inside your RV, even over the winter. Don’t forget the exterior. You’ll want to clean your exterior thoroughly, too. Be sure any awnings are fully dry before rolling them in for the winter. Your tires can be impacted by sunlight and the elements, so keep them inflated to the right pressure and covered for protection. Finally, close all of the doors and windows, and use an RV cover if you have one. Park in the right spot. Your efforts could be all for naught if you don’t put your RV in the right place after you’ve winterized it. If you leave it too close to trees, it could be damaged by falling branches or sap. High weeds can attract insects and even impact your paint. The FMCA recommends finding a level surface for parking; if one isn’t available, place the front chassis higher than the rear. You may have your own way of winterizing your RV. If so, make a checklist and keep it in your RV so it’s always handy when you need it. And, don’t forget to do the same for de-winterizing tasks. After all, you’ll be back in your RV in no time! Top image by Flickr user JPC24M used under Creative Commons Attribution-Sharealike 2.0 Generic license. Image cropped and modified from original. Device Insurance: Cover Your Personal Electronics With the Policy You Already Have Burglary Prevention: Should You Leave the Lights On? Copyright © 2019, Grachek Insurance All rights reserved.